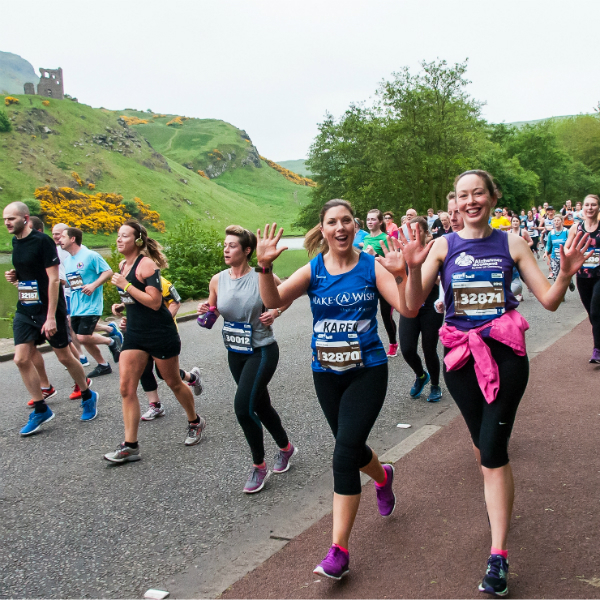 Over 30,000 runners took part in the Edinburgh Marathon Festival in the nation’s capital on 28-29 May. Runners from right across the globe gathered for Scotland’s biggest running festival, taking part part in the Marathon, Half Marathon, Team Relay, 10k, 5k and junior races across an action-packed weekend. Sunny conditions made for perfect running conditions for the elite fields on one of the world’s fastest marathon courses, where Kenyan dominance of the event continued in both the male and female races. 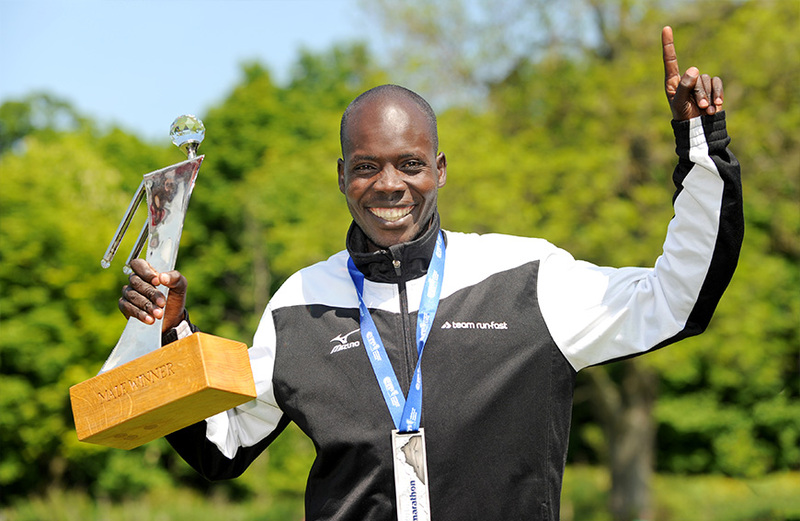 Boaz Kiprono took a decisive victory in the men’s race, breaking clear in the last mile to blow away the opposition in a winning time of 2 hours, 19 minutes and 55 seconds. Moroccan runner Abdelhadi El Mouaziz took a crowd-pleasing second place in 2 hours, 20 minutes and 14 seconds, followed closely by crowd favourite and star of ‘Running with the Kenyans, Japhet Koech with a time of 2 hours 22 minutes and 15 seconds. The women’s race was dominated by Kenyan Eddah Jepkosgei. she led from the gun to a four minute victory in 2 hours, 39 minutes and 53 seconds. The podium was completed by Hailey Haining, Kilbarchan AAC in 2 hours, 43 minutes and 3 seconds, and Katie White, Garscube Harriers in 2 hours, 47 minutes and 40 seconds. 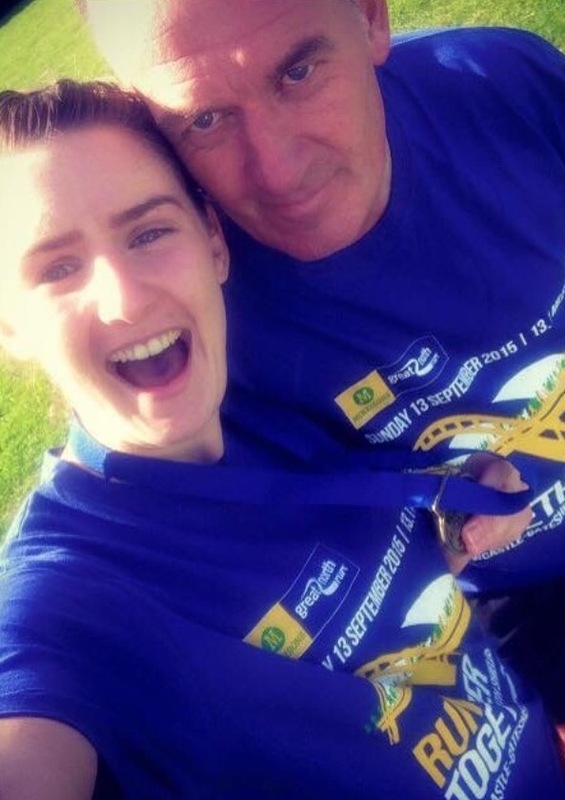 As if running 26.2 miles wasn’t tough enough, Gavin Thomson of Darvel completed the grand slam of marathon, half marathon, 10k and 5k over the weekend. 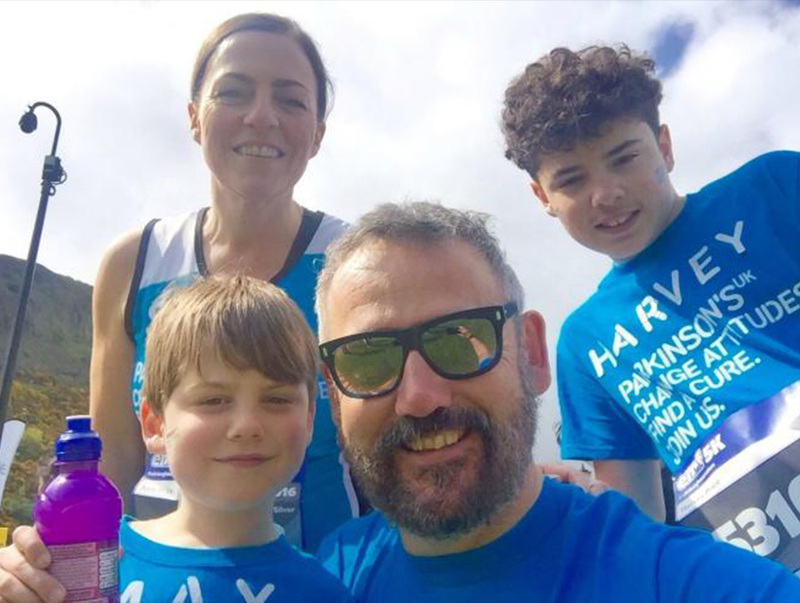 Gavin Thomson was running for MND Scotland in memory of his aunt who passed away from Motor Neurone Disease in December 2013. It was a particularly heart-thumping day for Daniel Jones from Hertford who proposed to his girlfriend Rebecca Harrison at the marathon finish line. Thankfully she said ‘yes’. 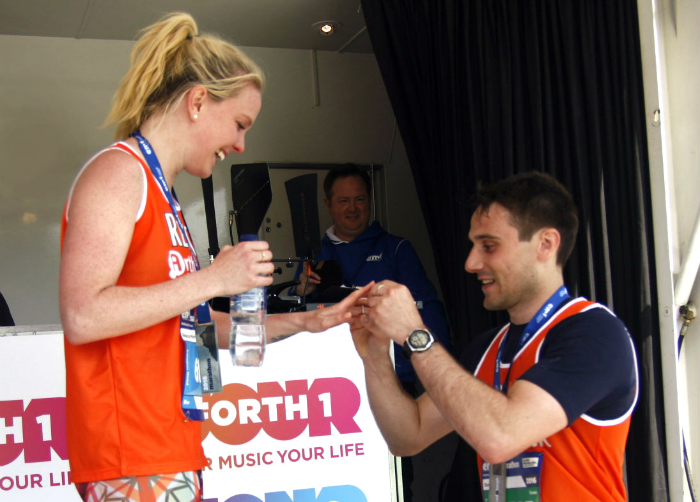 His new fiance was running the marathon alongside Daniel and was taken by surprise as Daniel bent on one knee at the finish line. There was a thrilling race at the front of Sunday morning’s half marathon as Darrell Hastie of Gala Harriers stormed to victory in the last mile with a winning time of 1 hour, 10 mins and 38 seconds. Sunderland Harrier’s Andrew Powell took second place with a time of 1 hour, 10 mins and 48 second, and Spain’s Francisco Urbano Sales finished in third with a time of 1 hour, 10 mins and 54 seconds. It was a cat and mouse race with Sunderland-based Powell pushing the pace in the latter half, but local runner Hastie had the critical finishing kick. 33 year old Hastie said: “It was really good, it’s a beautiful course, the weather was fantastic – perfect conditions for running in with next to no wind. Northumberland’s Tracy Millmore was the winner in the women’s race which she led from start to finish. 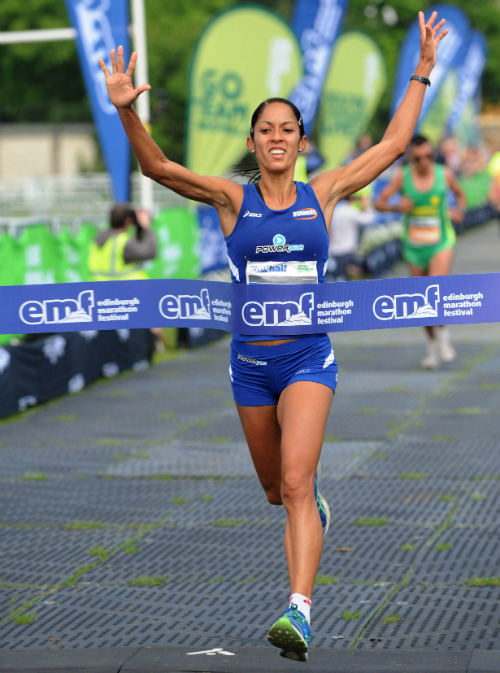 The Birtley AC runner was pleased to have topped the podium in her first ever outing at the Edinburgh Marathon Festival. 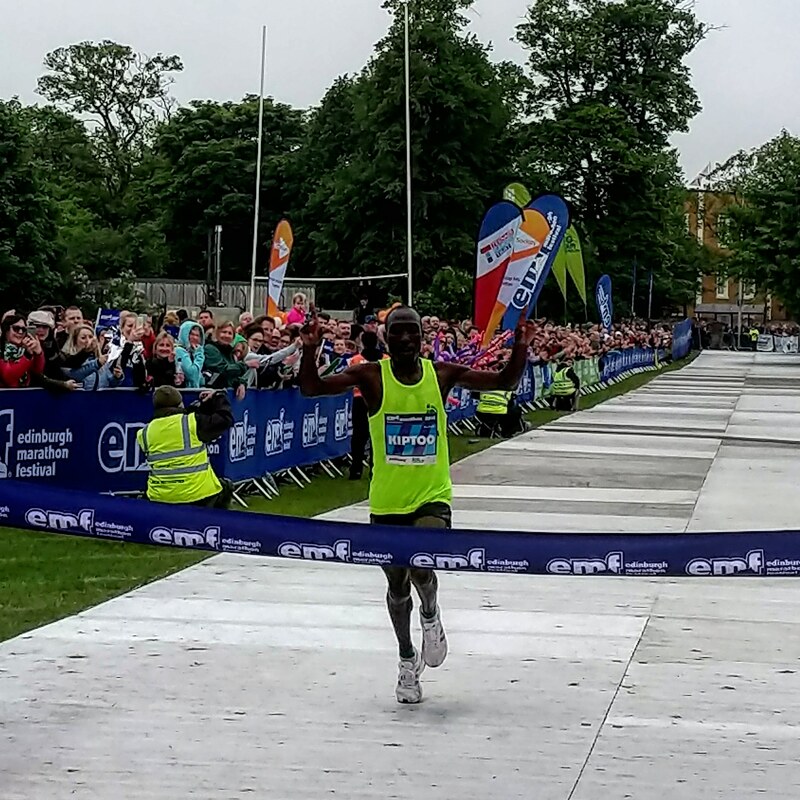 Max McNeill, 22, from Lothian Running Club claimed the top spot in the EMF 10K race with a winning time of 32 minutes and 7 seconds. Bryan Mackie from Edinburgh AC clinched second place in 32 minutes and 51 seconds and Kevin Stephant, on holiday from France, finished in third place with a time of 34 minutes and 16 seconds. Around 850 youngsters took part in Saturday’s junior races, consisting of the 1.5k for 6-8 year olds and the 2k for 9-12 year olds. 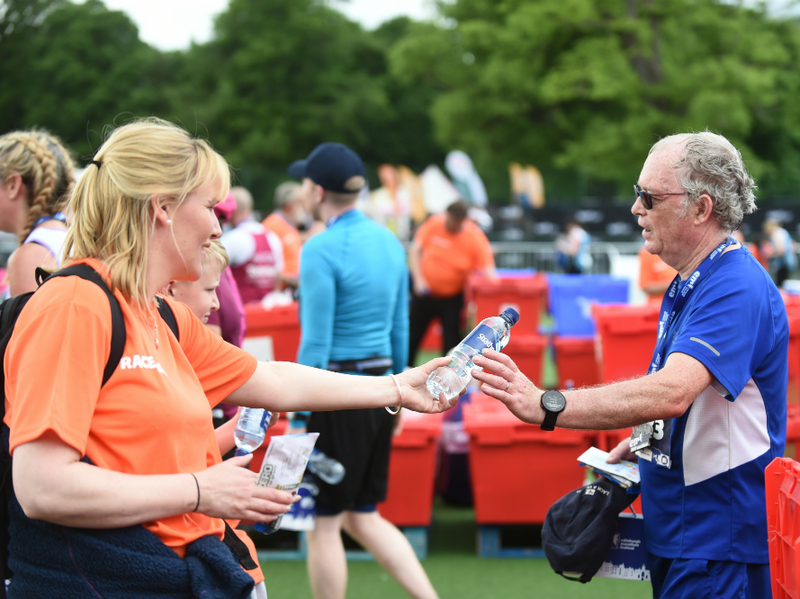 Neil Kilgour, Edinburgh Marathon Festival Director, said: “2016 has been another incredible year for Edinburgh Marathon Festival with record-breaking performances, tens of thousands of participants and millions raised for good causes. 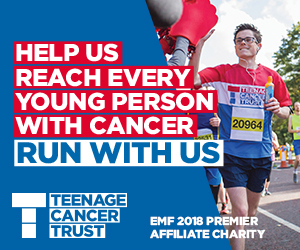 More than 1,500 runners from the Edinburgh Marathon Festival Official Charity, Macmillan Cancer Support, took part and together with hundreds of other charities, are hoping to raise more than £4.5 million.